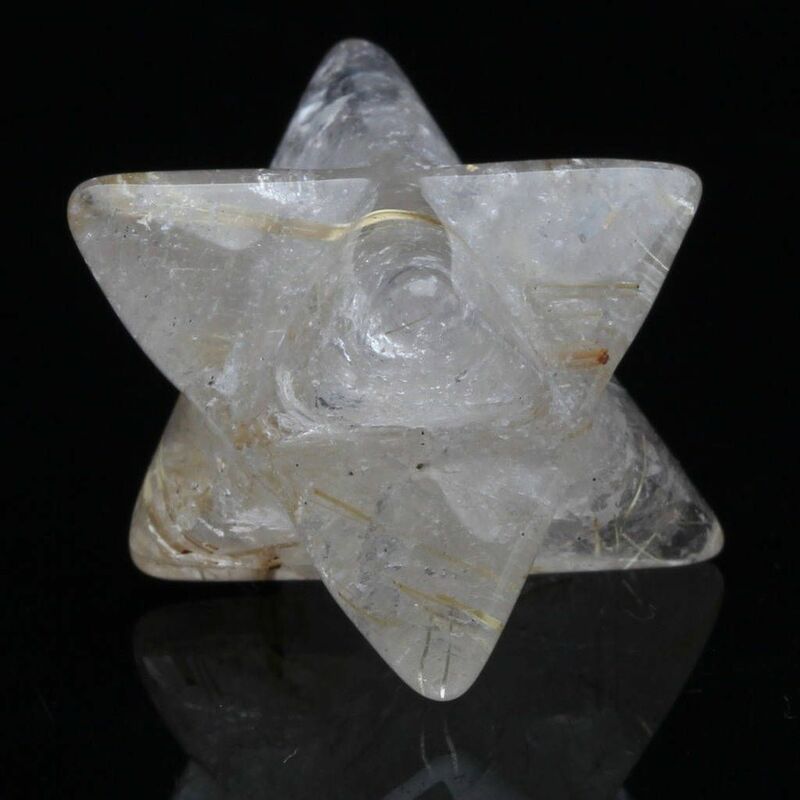 The varieties of benefits of using the Merkaba are greatly varied: It is a most powerful healing and protection tool. 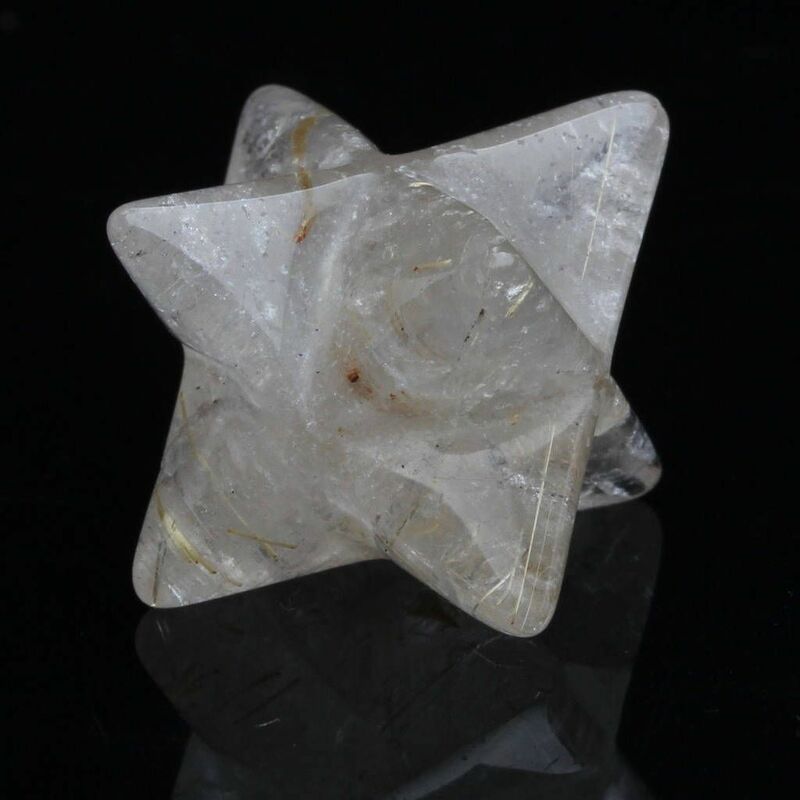 Rutilated Quartz is a type of 'Included Quartz. These needle-like crystals can be thick or thin, pale gold to rich orangey brown and arranged in dense or sparse patterns. They give an appearance of golden hair within the gemstone and often form fascinating and complex patterns. They have been known to be referred to as Hair of Venus Hair. It is reputed to be an energizing gemstone that helps get energy moving on all levels. It has been suggested that it assists with mental focus and attracts love and stabilizes relationships. It is also said to be helpful in uncovering the causes of mental issues and hang-ups. It may help to diminish fears and is excellent at assisting with decision making processes.